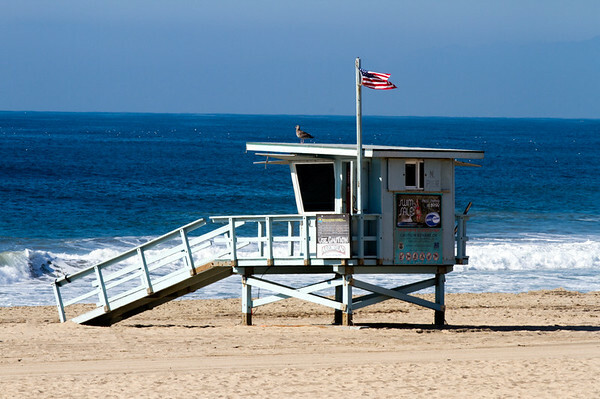 Gorgeous images from Manhattan Beach, Hermosa Beach, Redondo Beach, El Segundo, Palos Verdes and Torrance, CA. I have many more images to choose from. Email me if I can help you find a particular image or if you would like help selecting the type of print: kag@photosbykag.com. Thank you! 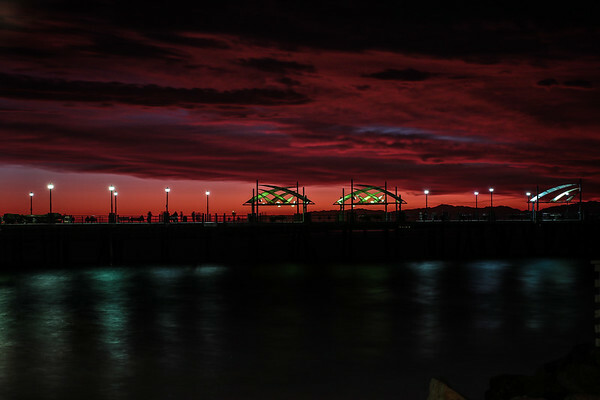 Fiery Red Sunset reflects on the clouds as seen from the Redondo Beach Pier. 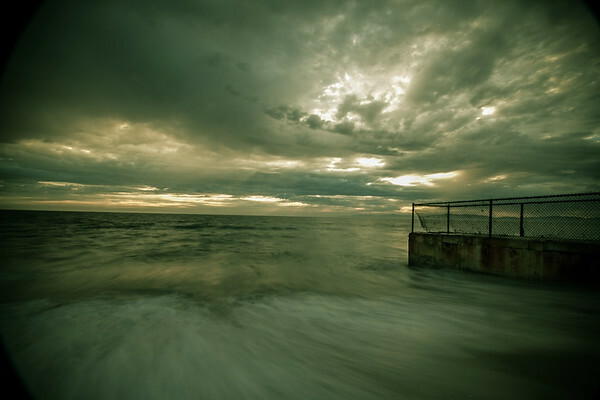 Taken with Tamron 24-70 at 38 mm, 25 seconds @ F/11. Manfrotto 055 Carbon Fiber tripod kept my camera rock solid for the long exposure. 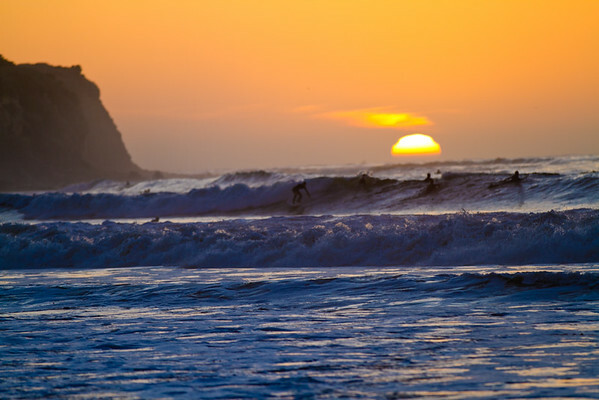 Camera geek stats: image taken at 500 mm with the Tamron 150-600 lens, and a Canon 7D. Given the 1.6 crop factor on the 7D the image is an 800 mm equivalent. 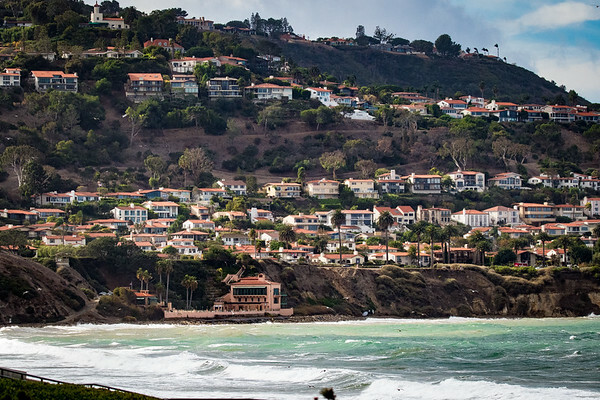 The compression effect with the zoom brings the Hermosa, Redondo and PV hills closer. 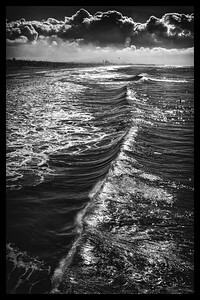 A rolling wave provides the way into a dark landscape of Manhattan Beach, California. 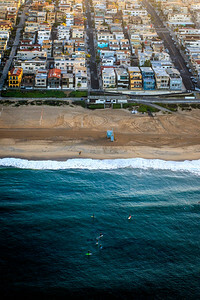 Look closely for the six surfers and the helicopter. 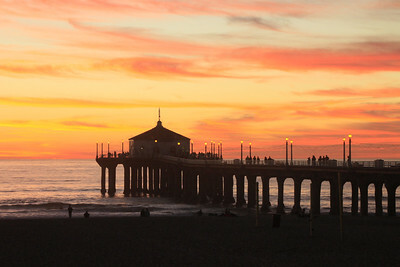 The Hermosa Beach Pier is in the background. 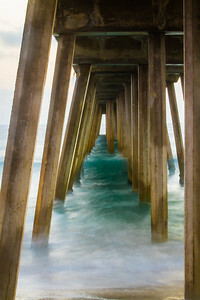 This image is currently on display at the Torrance Art Museum in Torrance California. 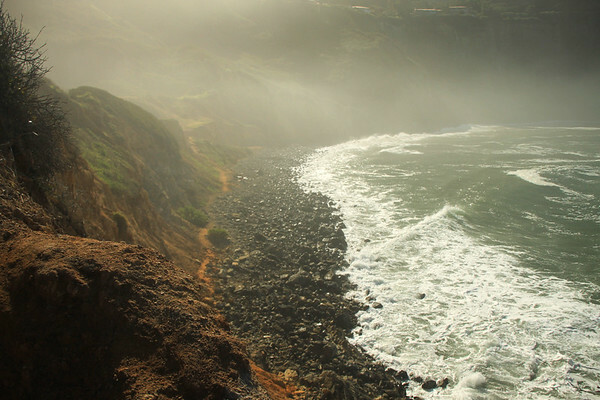 The texture, color, light and fog in this image remind me of my trips to Ireland. 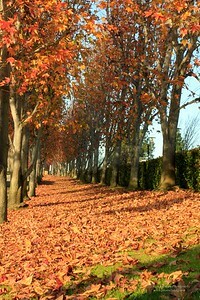 The image won an award in a South Bay photo contest a few years back. 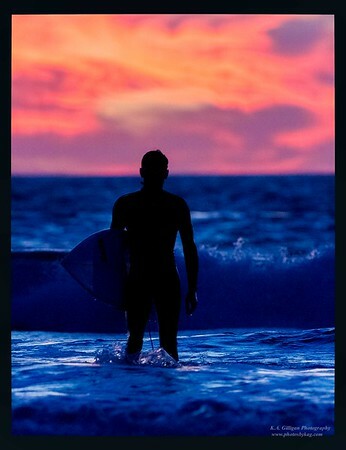 The print looks great on aluminum, or on paper with a mat and frame. This was an amazing capture! 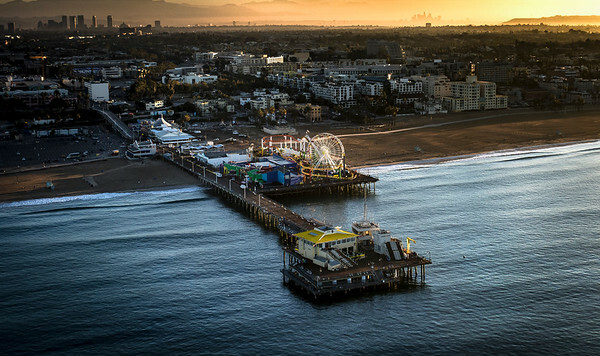 The air was so clear that you can see Century City and even Downtown Los Angeles in this aerial image of the Santa Monica Pier. 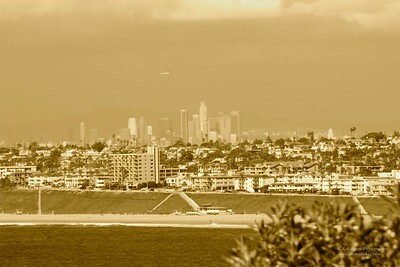 Downtown LA as seen from Palos Verdes, nearly 30 miles away. 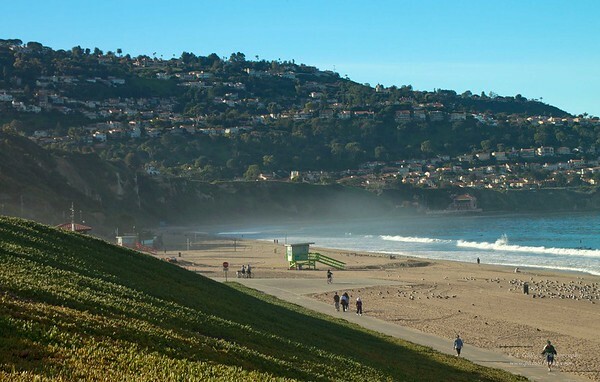 Torrance is on the far right, the ramp in the middle is Redondo Beach, and Torrance is located in between Redondo and Downtown LA. 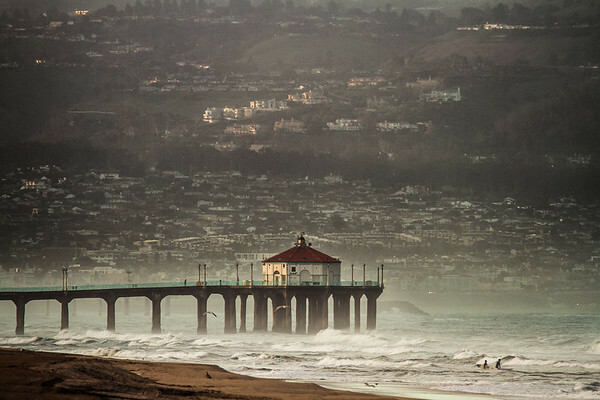 Lifeguard tower north of the Manhattan Beach Pier on a winter morning. 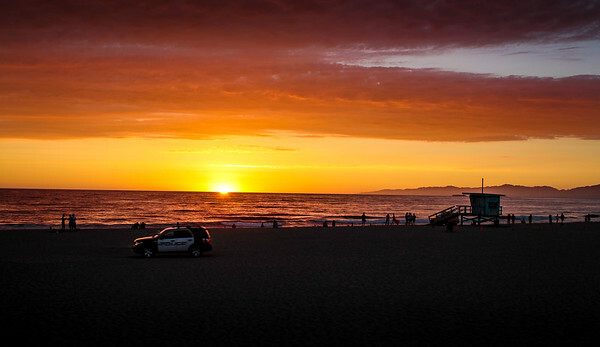 Sunset, surfing, Torrance Beach, South Bay, ocean, waves, surfing.